If something goes bang in the night and you can’t switch the light on to see what it is, you are highly likely to need an emergency electrician. Very often, emergency situations where there is no light are scary, even traumatic. Sometimes they can be downright dangerous. Our 24/7 electricians have been saving people from such scenarios in the Perth, WA district for many years. It really helps you to weather whatever storm has arisen when you know help is just a phone call away. You don’t have to wait until the morning to get light, heat or a hot drink, but can phone us for help at any time, night or day, weekend or public holiday. We’ll come to your address as soon as possible to diagnose the fault and restore safe lighting and heat to your home, factory or business of any kind. It’s not always easy to find a fault in the dark of night, even though we do have our own emergency lighting. But in places where there is danger from an electrical fault, we can work to ensure everyone is safe in the building so you don’t have to evacuate. We might tie off a live wire or reroute wiring so that one light or power point remains safely off. 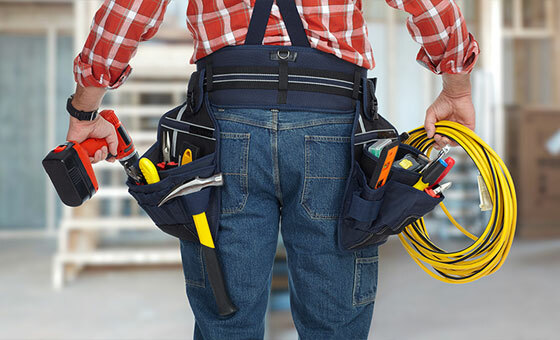 Once we’ve ensured the whole home or building is safe, we can come back in the daylight to fix the fault and get your home humming away and back to normal. If you see any exposed wires on your property. If the power goes off suddenly for no apparent reason in your house only and the fuse is ok.
Like many things, power can –and does – do a lot of good in the world, but when not used properly it can cause a lot of problems; injury and even death. That is why you don’t want to mess around when the power goes off. Even if you are not sure what is happening, it is wise to call our emergency electrician and ask for advice. We’ll often be able to tell you whether the problem is serious or not just by listening to the details you have and if we’re not sure, we’ll come and take a look. It’s better to be sure than sorry. If the power goes off in the whole street or suburb, it is not likely to be a fault at your house. In such a case, the council electricians will very likely be on the job to get the power back on as soon as possible.